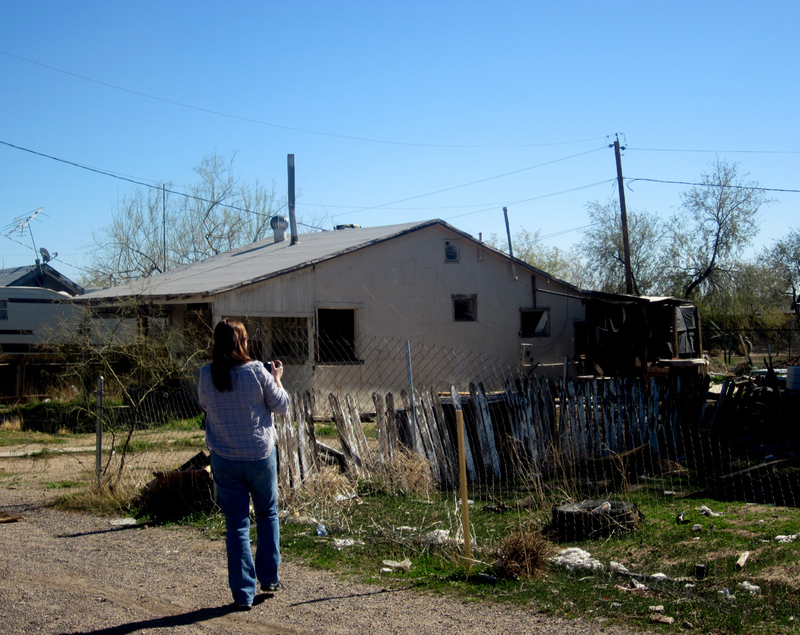 Around 35 miles from Phoenix on Grand Avenue stands the tiny town of Whittman. Most people traveling from Phoenix to Kingman or Las Vegas would just pass this place by and not even realizing they just drove through it. Sharon and I are not most people, so we went exploring. It didn't take long before finding abandoned structures which used to be someone's home. Now these houses stand empty and alone with only its memories hidden within the decaying walls. I am sure the town's folks probably thought we were crazy taking pictures of these buildings, but we didn't care and just snapped away. This is what we found on our first time through Whittman. We decided to hit this town again on our way back and I will show all those pictures on another post. That place was awesome! Only you and I would call decay in the Arizona desert beautiful, but it certainly was. I just love the way your pics came out! It's funny how you and I can look at a falling down, abandoned structure and say, "that is beautiful". The locals probably thought we were nuts. Love the shots of the tree enveloping the house as if it were just another hungry creature satisfying itself with "home cooking". MM, we liked that one too and yes it does look like it is eating the house...LOL. Demonic, we had a great time. Any plans to take me with you next time? Barry, we would love for you to join us. and captured a nice bit of Americana if nothing else.